This coming year in Cycle 3 of Classical Conversations we will be studying influential American artists. 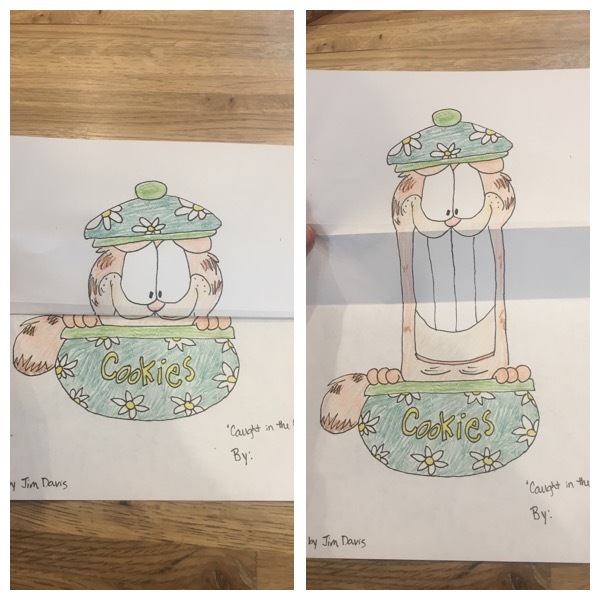 One artist is Jim Davis, who created Garfield! 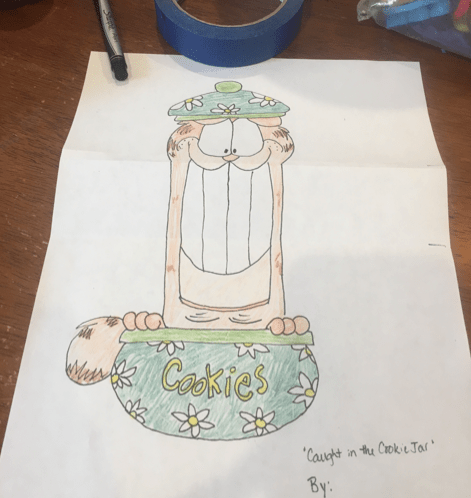 We decided to experiment with an art project… Caught in the Cookie Jar. It’s actually a combination of a few different art projects, but so far it’s been approved by our 4, 7, 9, and 11 year olds. 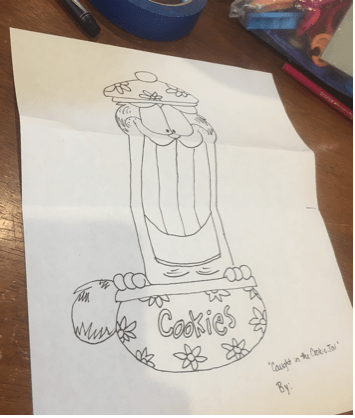 First you start with the black and white of Garfield. Fold carefully! In theory you should be able to fold in half and then line it up on the line marked on the side, but each printer is different so just make sure that the lines match up around the lips/nose area. Viola! 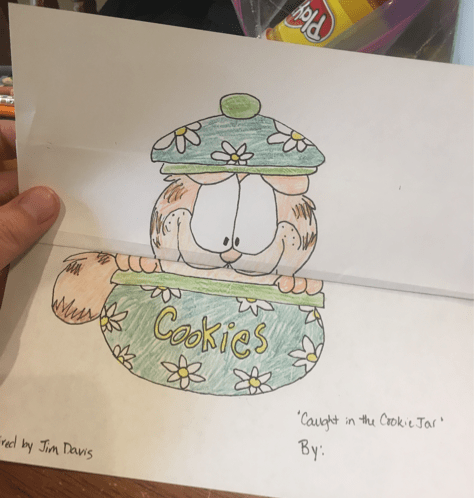 You have a sneak Garfield Caught in the Cookie Jar, inspired by Jim Davis!